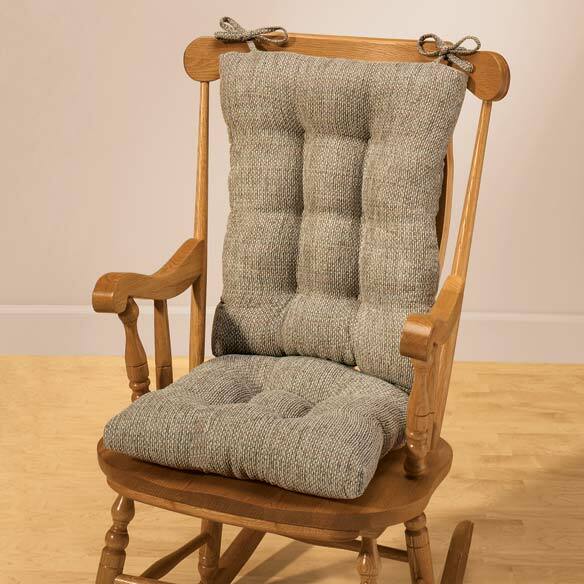 Oversized cushions, thick padding and deep tufting make our rocking chair cushion set extra comfy. The back cushion (21 1/2" long x 18" wide x 4" thick) fastens to rockers with 4 matching ties and the seat cushion (17" wide x 16" deep x 3" thick) features a coordinating slip-resistant Gripper® latex/polyester backing that secures it on the seat. Rocker seat cushions are stain-resistant. Spot-clean cushions are filled with polyester fiberfill and made in the USA. 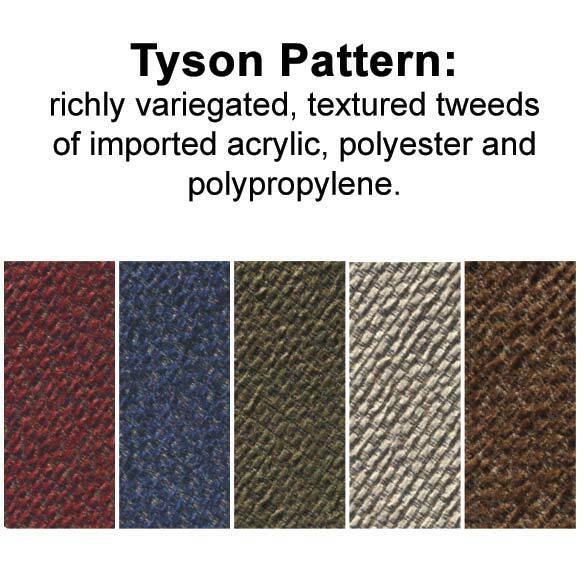 Tyson pattern is richly variegated, textured tweeds of imported acrylic, polyester and polypropylene. Needed to replace our old ones. I like the style. Better material and very nice looking.
! I need a cushion for Rocking! Hoping this works well on our glider. I reviewed several sites and your site had the best ne for a decent price. Other sites did not carry cushions as large as your site. This was exactly what I was looking for in size and pattern. Good reviews on Amazon. Will fit my chair.